When we think of Sim Racing hardware, we tend to imagine wheels, pedals, shifters, handbrakes, and so on. But what about a great looking racing themed headset? 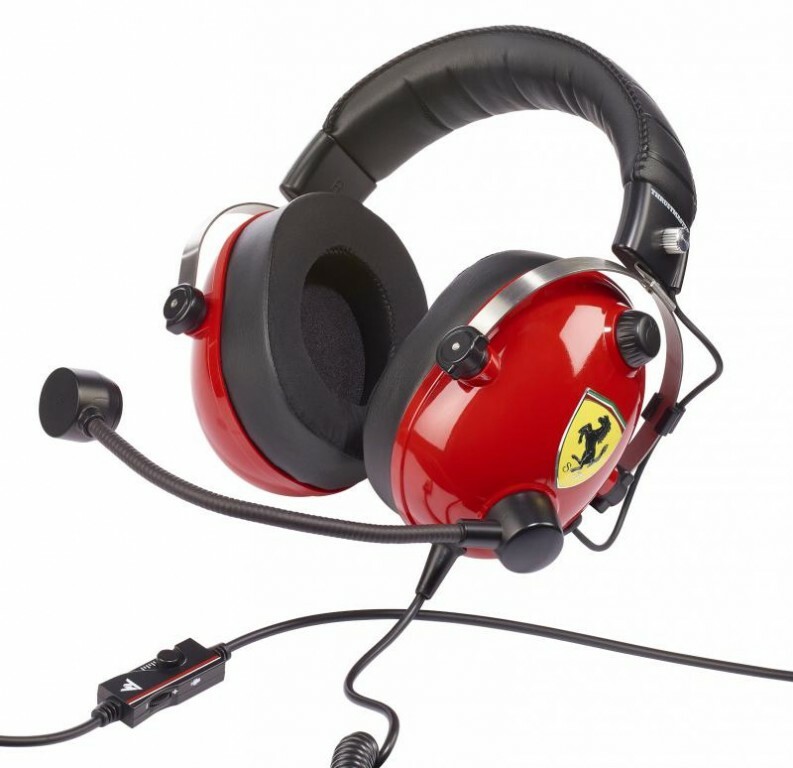 Thrustmaster is getting ready to add a new product to their officially licensed Ferrari racing peripherals line-up, introducing the T.Racing Scuderia Ferrari Edition Headset. Thrustmaster will officially launch the new T.Racing headset at the Ferrari Store City Race in Milan, from August 31 to September 2, 2018. The headset will be on display inside the Ferrari store, with a Thrustmaster demo space set up not far from it. The demo space will feature three cockpits outfitted with the entire Thrustmaster Ferrari range of products, including the new T.Racing Scuderia Ferrari Edition headset. Visitors will have a chance to test the aforementioned Thrustmaster products running the recently released F1 2018 game by Codemasters. As the press release states, the T.Racing Scuderia Ferrari edition headset will be available for sale from November 20, 2018, at a suggested retail price of 99.99€/ £89.99. / USD $99.99. 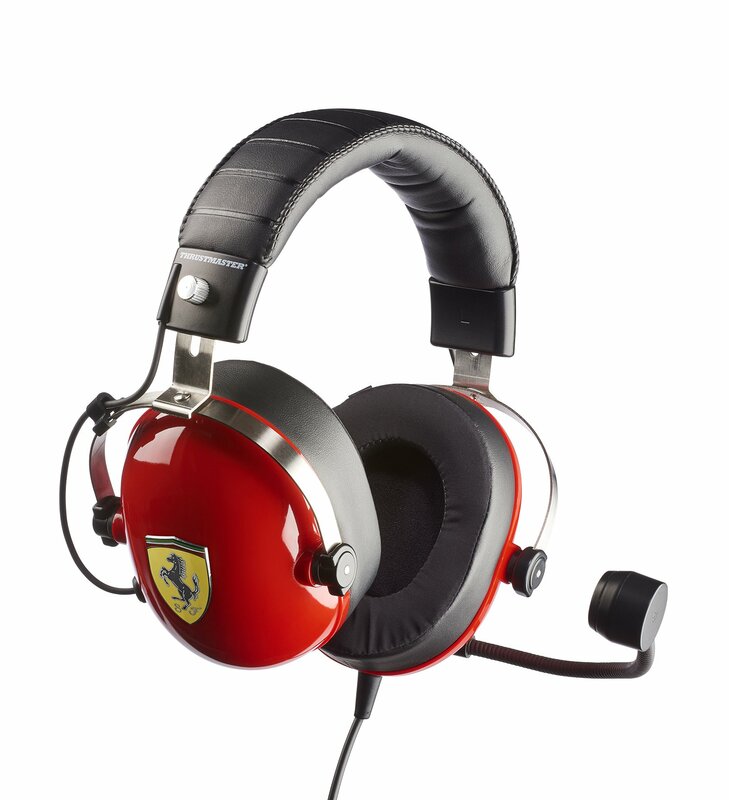 Designed in the famous “Rosso Corsa” color, the new T.Racing Scuderia Ferrari Edition is more than a simple gaming headset. 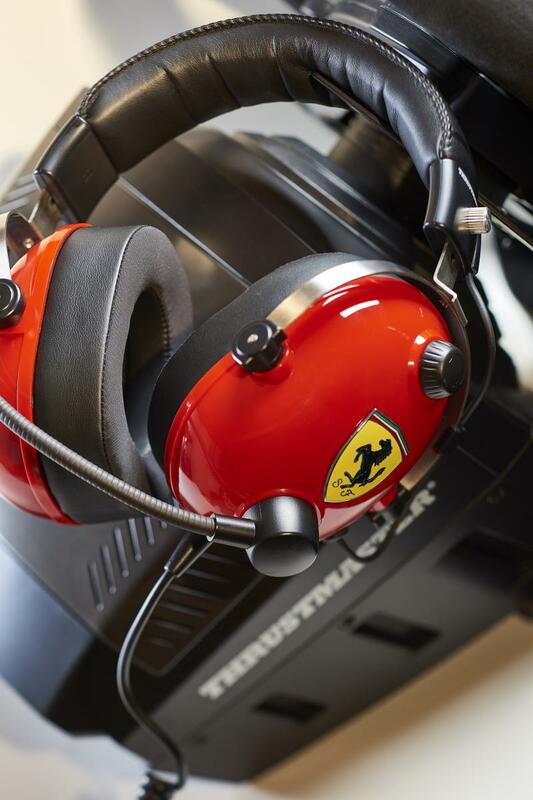 The headset’s design, inspired by the Scuderia Ferrari paddock, is the fruit of a long and painstaking development process. Its metal headband reinforces its realistic appearance and ensures the headset’s long lifespan, while the leather padding provides a beautiful aesthetic finish. Performance that meets Scuderia Ferrari’s high standards. One of Thrustmaster’s priorities is to offer sound fidelity. Acoustic balance is made possible by the frequency response curve: it is finely balanced between bass, midrange, and treble. What’s more, the implementation of 50 mm/2” drivers allows the reproduction of clear sound without saturation, while the sound pressure level (116dbSPL) prevents distortion(distortion rate of ≤1%).